Nowadays people can’t stop talking about 5G because this is the next big thing. It should create a highly mobile and fully connected society. But what is the hype about…….? • Faster speeds; It should be between 100 and 200 Mbit/sec. It will enable almost real-time data transfer. • Lower latency; low latency services in 5G are targeting less than a millisecond. Today’s networks take around 20 milliseconds. • Connect more devices at one (for sensors and smart devices). To what extent are these hyped promises real? Or is it all wishful thinking? 5G is not one technology but is composed of different technologies. These technologies enable 5G to use high frequencies, the higher the frequency, the shorter the wavelength. In essence, shorter wavelengths offer faster speeds and thus lower latency. What most people don’t know is the fact that, shorter wavelengths demand a short distance between a device (receiver) and a tower (signal transmitter). Furthermore, the signal flow from the transmitter to the receiver should be obstacle free. A 5G signal has a harder, not to say impossible, time penetrating through obstacles such as, trees and brick walls (not comparable to the reach of current Wi-Fi signals!). In order to solve this problem, an enormous amount of towers should be installed, compared to the number of towers that are nowadays requires by technology. This managed total solution already offers the 5G speeds without all the accompanied difficulties such as short wavelengths and high investment rates. Internet speed of 400 Mbps (or even twice as much!!) can be offered combined with 100% uptime. 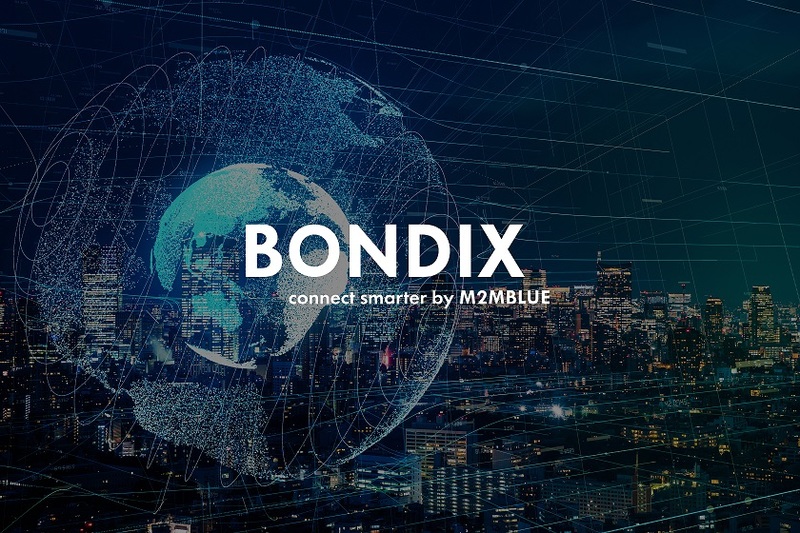 Bondix can solve the most complex connectivity environments, anywhere and anytime. • Our bonding routers enable you to bind together different networking media, such as DSL, 4G/LTE or cable, from multiple providers. The advantage of bonded internet lines is that a single virtual broadband line is created based on the combined broadband bandwidths, providing you with more bandwidth for your applications. A further advantage of bonding is the fact that an interruption of a bonded line will not affect the applications using the bonded link. That is why bonding is the best solution for critical applications: you are never offline! • With CloudSIM, or virtual SIM (vSIM), this newest innovation doesn’t require physical sims anymore, but are kept inside a SIM Rack in M2MBlue’s own datacenter. Any of the available SIMs can be mapped to the router, flexibly which results in a secure, optimized and easily managed connections. Thus, disruptive technologies – bonded lines and CloudSIM (virtual SIM) – now exist to ensure that your own business experiences no disruptions! Our complete Bondix solution includes extremely reliable hardware and software, guaranteed connectivity and excellent managed services. Our delivery and support processes are streamlined for efficiency, yet highly adaptable. While you have a great deal of flexibility in combining a custom set of building blocks according to your needs, no matter what combination you choose, we guarantee you a rock-solid broadband connection with seamless redundancy.